I'm always thrilled when a new edition of Forbidden Hollywood is released. The sets of pre-code treasures never disappoint. There's always at least a couple of titles that thrill me, and the films are all alive with that exciting honesty about life that died away when the production code was finally enforced. This latest set is especially diverse, mixing comedy and drama and settings from swanky hotels and European villas to raucous newsrooms and racetracks. I don't know if it is possible for me to approach this movie with a critical eye. 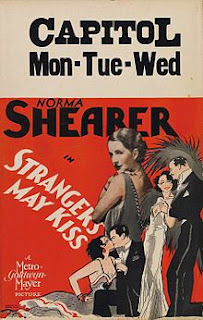 It was the first title I saw in the Forbidden Hollywood series, back when it came in single films on VHS, and each had an introduction with Leonard Maltin, and I'll always associate it with the excitement of discovering the whole idea of pre-code films. It's a lot of fun though. James Cagney and Joan Blondell were a great screen pair, both of them down-to-earth, but infinitely more witty and attractive than your average Joe. Here they are grifters who think themselves pretty good at the con, until they realize the real criminals are in the upper levels of society. There's lots of mugging and goofy antics, sometimes amusing, occasionally irksome. 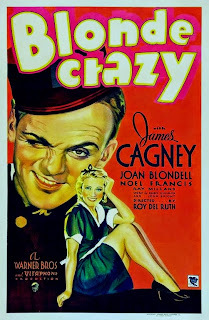 Cagney is especially reliant on quirks. You want to cut the cast some slack though, because all the criminals, hotel bellhops and sleazy traveling salesmen are taking the talkies into new territory, something livelier than those first, creaky attempts at sound, and they're doing a fine job working out just how that should go. I love a racy Norma Shearer pre-code, but I can rarely sit through the end of one more than once. They're a cinematic tease, getting you excited about Ms. Norma's feminist zeal and then giving her a quick slap on the wrist and thrusting her back into convention before the closing titles. For that reason they are all fabulous and awful at the same time; ahead of their time and too afraid to push very hard at the status quo. Still, not one is to be missed, because they all make a great early cry for female independence that still rings after their cop-out codas. In this one Shearer tries her best to have a modern, no strings attached relationship, but she can't manage that when she falls in love. Neil Hamilton is her self-centered, world-traveling beaux, while longtime friend Robert Montgomery makes goony faces and waits for her to give him a try. While it is difficult to stomach the star's final "Quick! Get me a husband! Take me away from all this freedom, horrible freedom!" plea, there's no forgetting the fun she's had, and the way she spoke, before she finally caves. She is at her glamorous, giggling best in astonishingly sheer, slinky evening gowns, trotting around Europe, getting herself into trouble. When she is chastised for her behavior, she lets her lover boy know a thing or two about double standards, and that he is not free to toy with her as he pleases. Those words are strong, and you have to wonder if maybe in the end she goes the subversive route, still believing what she says. Whatever the case, no one could speak her mind about relationships like Shearer. I had my qualms about this newsroom comedy/drama as the first scenes unrolled. It has a slow build, relying at first on limp jokes and Paul Muni (in a rare comedy role) being heavy-handed in his attempted at a Lee Tracy-type part. While the latter would be at least amusingly obnoxious as a reporter who gets in hot water with his boss and torments a love advice columnist (Glenda Farrell), Muni is just annoying. This all changes when the messing around develops into a good, twisty mystery plot. Muni is demoted to Farrell's position, which seems to be the punishment for all reporters that screw up at their newpaper, and he attempts to dig himself out by investigating the disappearance of a lawyer who has been accused of stealing from a bank. Once Muni begins his detective work, he seems to forget about trying to be funny, which oddly enough makes him much funnier. He's at his best when he's so determined to get the details he needs for a blockbuster story that he forgets to be afraid. The always snappy Glenda Farrell and familiar Warner faces like Ned Sparks and Donald Meek are more at home in the comedy and also do much to improve the appeal of their star. This is also a great flick for fashionistas, with some of the most immaculately buttoned and bowed designs I've seen in 1930s cinema. It can be difficult to watch an Edward G. Robinson movie. So often he is a victim of fate, a beautiful woman, or both. This time he is his own worst enemy though, a gambler who, for good or ill, is living a life suited to his temperament. 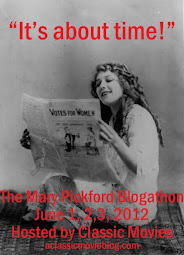 He is pressured to change when he marries a so-called decent woman (Genevieve Tobin). They're really both decent in their own way; she's just not eager to raise their child among her husband's wise cracking friends, never sure if he will gamble away the grocery money. So often in these movies it is the housewife who is clearly best for the hero, who is tempted away by a shallow, but glamorous woman. Here that is not so obvious, most likely because as Robinson's old flame, Glenda Farrell is an understanding and loyal counterpoint to the sympathetic, but disapproving Tobin. 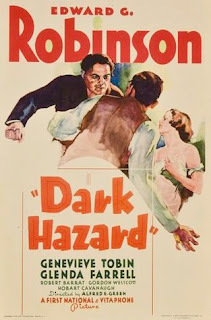 While movies about gambling generally paint a disapproving portrait of the pastime, Robinson is portrayed as being at home rolling dice and betting on horses and greyhounds. It isn't that he doesn't adore his wife, he shows himself to be very charmingly in love, but the excitement of the racetrack feeds him like nothing else. Dark Hazard handles that conflict in an unusual and deeply satisfying way.